Stallion Enterprises International Corporation ("Stallion Enterprises"), a local leader in Job Search Resources and Career Coaching for university students, has provided three student organizations with selected content from its "Operation: Job Search" course. "I really enjoyed the activities," said Xuanyu Kang, a student from Wilfred Laurier University, "The skills are really useful." Student Members of DECA Laurier participated in a session on November 15th outlining business presentation structure for case competitions. The session also covered effective mannerisms for both interviewing and presenting. DECA Laurier plans to bring at least 100 student to the Provincial Competition in January 2018. At last year's DECA U Provincial Competition, Stallion Enterprises presented the networking module of "Operation: Job Search" along with course co-creator Arsenal Services Ltd. "[I] hope that more students will take advantage of their experience and knowledge," said Joshua, a student from the University of Guelph. The same session was delivered to McMaster DECA U at this year's MDCC event on October 28th. According to one McMaster student's feedback, the session will "guide you step by step on the different phases" of a networking conversation. The workshop continues to receive engagement ratings above 90%. "We showed students the same skills they learn in our 'Operation: Job Search' course, which is exactly what they'll need in January for recruiting season," says Andrew Soave, Director of Business Development and Operations at Stallion Enterprises, "and many of the skills we teach students will help them make significant impact to their employers this summer." 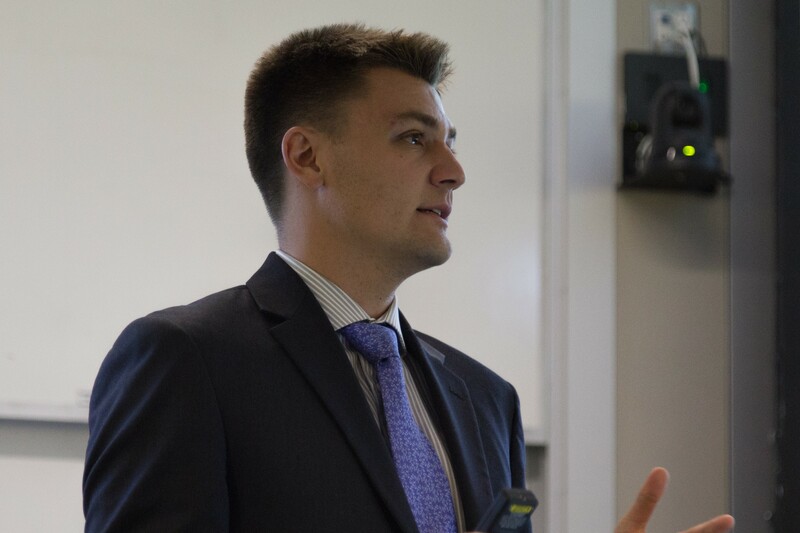 Andrew points to his recent session with the DeGroote Operations Association on November 16th for an example: "We discussed Lean Management, which is a skill that I provide all business owners to make their companies more efficient. The concept is discussed in detail in the 'Small Business Booklet,' which is a playbook for entrepreneurs to build better businesses. The booklet is included in the 'Operation: Job Search' course." For more information on services and speaking events, visit http://www.stallionenterprisesintlcorp.com.